Readers of Medical Design & Outsourcing magazine selected Cadence Inc. as a recipient of the 2016 Leadership in MedTech Award for Contract Manufacturing. Leadership in MedTech is a growing industry recognition program that acknowledges medtech leadership across multiple disciplines. 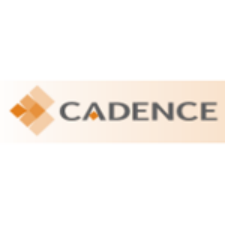 Cadence is a single source manufacturing partner for medical device and diagnostics companies worldwide. Cadence provides end-to-end product realization solutions focused on best-in-class total value. Cadence employs more than 450 people with headquarters in Staunton, VA and other locations in Pennsylvania, Rhode Island, and Wisconsin.